Brown calf, hand burnished in the factory to give them their unique depth of colour. 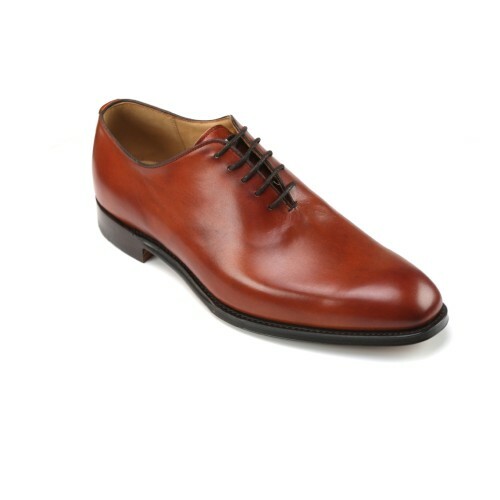 Plain smooth fronted, Goodyear- welted, of course, fully leather lined and with durable oak bark tanned soles. Our whole cuts are made in Northampton - the home of fine English shoe-making. A plain brown 'whole cut' that bestows the owner with a veneer of Proustian Ennui. Painfully classic in a manner redolent of cork lined rooms and madelaines. They cost a little bit more because of the high cost of discarded leather in trying to find a large enough piece of flawless leather to make them from.